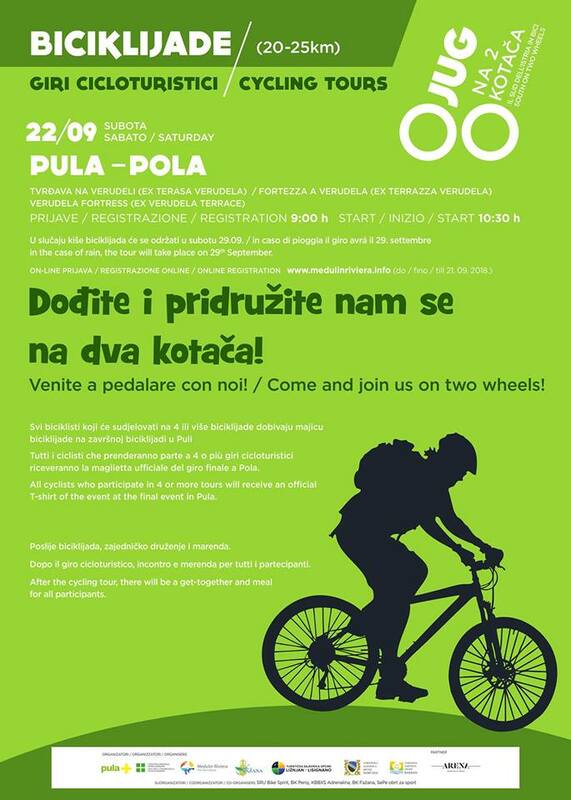 The bicycle race “South on two wheels” organized by Tourism Office Pula will be held on Saturday, September 22 in Pula. The starting point of the race is at Fort Verudela (ex- Verudela terrace) at 10.30 am; registrations are open from 9.00 am. On-line registrations www.medulinriviera.info until September 21. In the event of rain, the race will be postponed for 7 days.